May 18, 2018—Cortes Island, BC: IndigenEYEZ is excited to return to Klahoose territories and Hollyhock from July 22-27, 2018. This year we will explore Indigenous knowledge, relationship with land and presence. We will experience decolonial practices centering Indigenous awareness combined with embodied knowledge through play, art, and collaborative team building exercises. The program focuses on right relationships—with self, others, culture, and with the land. During our upcoming 5-day session, Kim will be joined by Rup Sidhu to lead participants through an empowering and deeply transformative journey. This training will draw upon the land and the wisdom of our Ancestors to deepen our senses and intuition. 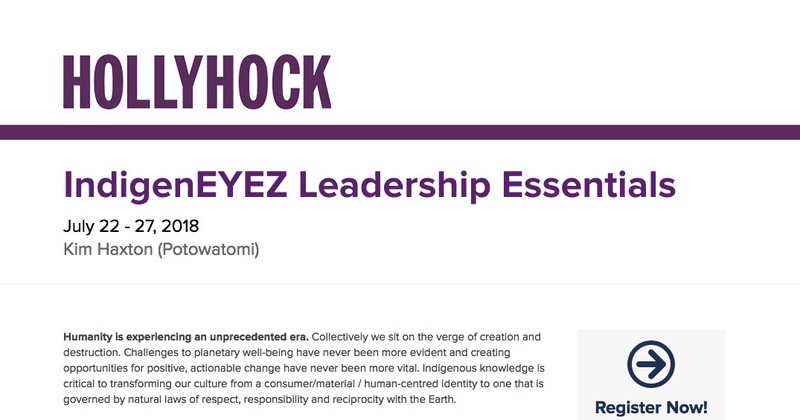 This workshop is intended for activists, leaders, educators, changemakers, and individuals interested in equipping themselves with the right tools, understanding, and community necessary to walk through this challenging time in a good way. Indigenous knowledge is critical to transforming our culture from a consumer-material, human-centred identity to one that is governed by natural laws of respect, responsibility, and reciprocity with the Earth. 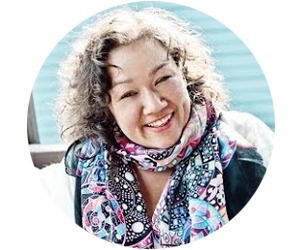 With degrees in geography and outdoor recreation, Kim has two decades of experience doing wilderness therapy and leadership development with Indigenous communities around the globe. Kim leads with a unique perspective on healing, which includes traditional and modern modalities. 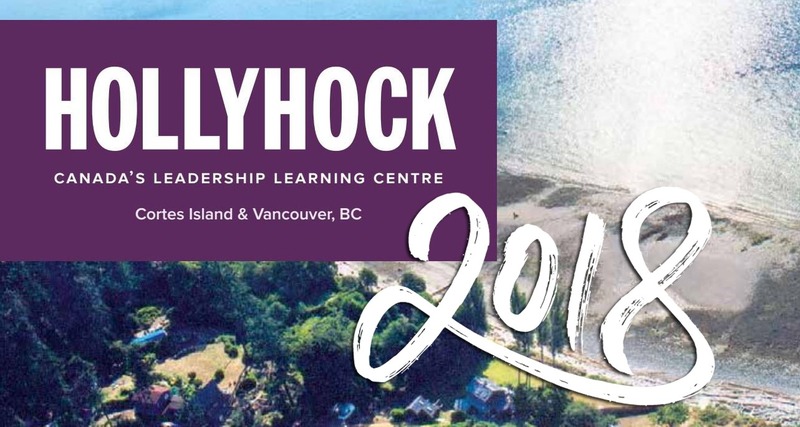 We’d love to have you join us for our third year at Hollyhock, July 22-27, 2018. A limited number of scholarships are still available!